Remember the scene when the king’s courier arrives to deliver the invitation? Of course, Cinderella is included, BUT her cruel stepmother has different plans: keeping Cinderella home, slaving away doing chores. Thankfully, Fairy Godmother comes to the rescue and with the wave of a wand, turns pumpkins into a carriage and transforms torn rags into a magnificent gown. Cinderella is instantly ready for the ball! but we are most certainly recipients of a royal invitation. we have EACH been invited to enter God’s throne room. 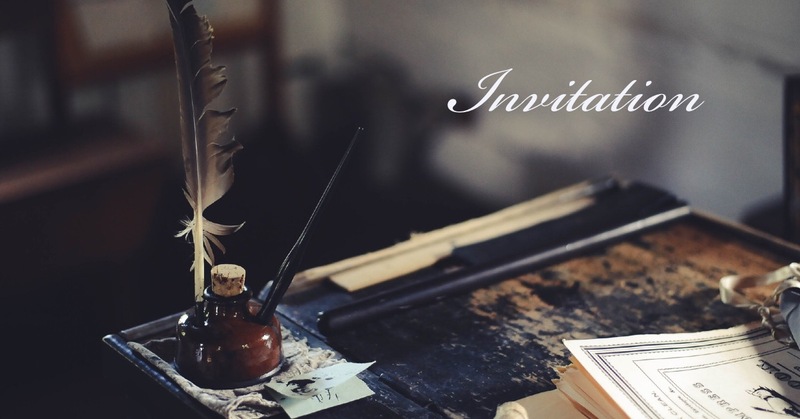 Furthermore, our invitation requires no magic and isn’t limited to one night of dancing. Rather, God has requested our presence with Him EVERY day. Paul reminds us in Colossians 3:17, “whatever you do, in word or deed, do everything in the name of the Lord Jesus…”  God wants to be part of EVERY aspect of our lives. Under the Lord’s direction, the Israelites built a tabernacle that moved with them as they made their way from Egypt to Canaan through the desert. While everyone was able to enter the court of the tabernacle, only the high priest could enter the Holy of Holies, the curtained off area where the very presence of God rested. Even then, the high priest only entered the Holy of Holies ONE day each year, to offer sacrifice for sin on behalf of the entire nation. This way of interacting with God via the priest continued for thousands of years…until Jesus came and changed everything! He was God’s invitation in the flesh. His invitation is for anyone and everyone! After delivering these divine invitations, Jesus then became the final sacrifice. As Jesus breathed His final breath from the cross, He declared, “It is finished”. At that moment, the curtain in the Temple was torn from top to bottom, as with the hand of the Almighty and not from man. The Holy of Holies was now open to everyone, every single day of the year. Jesus made it possible for us to PERSONALLY enter God’s presence! 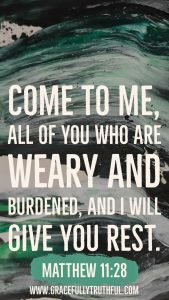 Jesus calls you to come as you are; He is waiting with open arms to lovingly embrace you. If you have already responded to Jesus’ invitation, I encourage you to keep studying Him! He wants to be with you, present in every single aspect of your life, He is your everyday Savior! but rather in the real moments of everyday life. Perhaps it’s the beauty of a sunset, a connection with a friend, or even your snotty-nosed toddler, or the endless ways you feel overrun. Whatever the moment, even this one right now, know that God IS inviting you to be present with Him. It’s easy to push SNOOZE on this precious invitation. I do it more than I would like to admit. God is inviting us to let Him into EVERY moment. Thanks for joining us today as we journeyed into Tabernacle Week Three! Don’t miss out on the discussion below – we’d love to hear your thoughts! Here’s a link to all past studies in Tabernacle!